Cancun All Tours is an experienced Travel Agency and DMC, Established for more than 16 years, and one of the first that starts offering online reservations service for tours, excursions, hotels, airport transfers, Mexico travel programs, private transportation, catamarans and boat rentals, Hotels Wedding packages. We are specialized in Cancun, Playa del Carmen, Riviera Maya, Cozumel, Merida and Mexico City. 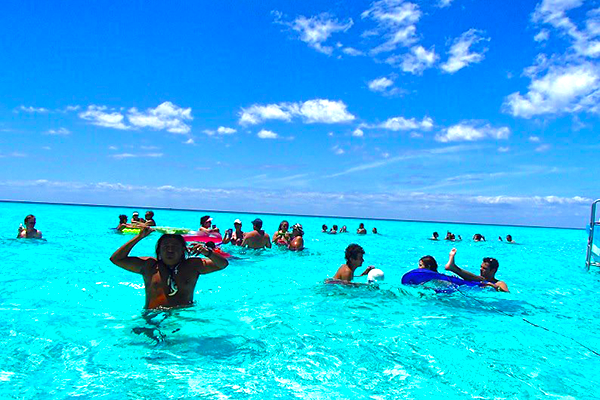 Cozumel Tours - We provides tours and excursions service in Cozumel at the best prices with the best guides and equipment. Book online at Cancun All Tours or Call us now at +52-998-848-1483 for an inquiry.